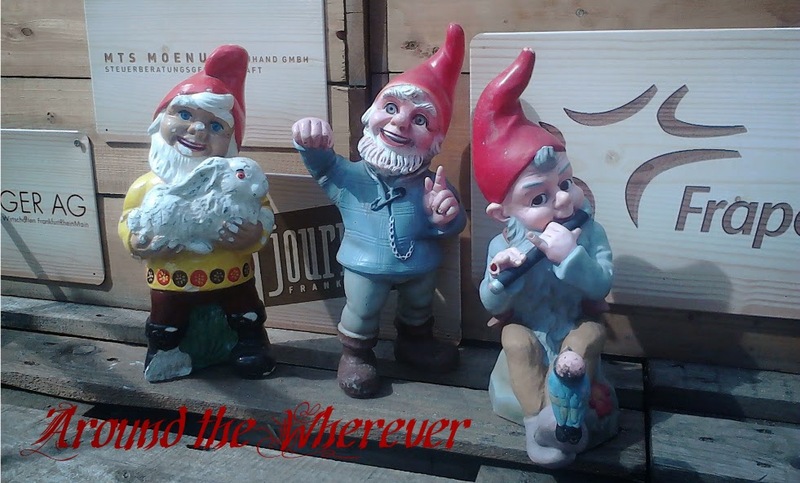 Around the Wherever: My week: October 4 ed. I realized I haven't written an update on my week for a while. I spent most of September preparing for, and conducing, another huge staff training. It took up so much of my time, energy, and mental effort that I didn't want to do a whole lot beyond that. -Anyway, I had my regular tandem speaking meeting and was able to have my tandem partner explain Indirekte Rede a bit more, which was definitely appreciated. I've started up Volkshochschule classes again and had learned it there but didn't fully grasp it. It's wonderful to receive extra tutoring from my tandem partner! -We had a going away dinner for one of our colleagues from another department and found it funny when we all showed up wearing black. It looked as if we were either mourning his leaving or we were part of some sort of mafia. J took a sip of his beer and peered at us, trying to ascertain if we were offended by the story. I asked, "So, did he at least give the hedgehog a cigarette afterward?" and J spit his beer out in surprise and laughter. Obviously the story didn't offend me and I learned an important thing: I don't want to pet any hedgehogs! -On Saturday, I planned to attend a housewarming party that my friend was having in Saarbrücken. Since I wanted to maximize my time in the area, I also decided to visit Forbach, which is a French town on the border. I wanted to see the tourist sights, if any, and go shopping at Cora, a megastore with extensive grocery options. 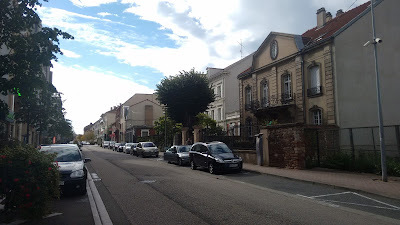 I had a dickens of a time finding things to do in Forbach. Their tourist information website isn't translated very much and it wasn't playing along with Google Translate. 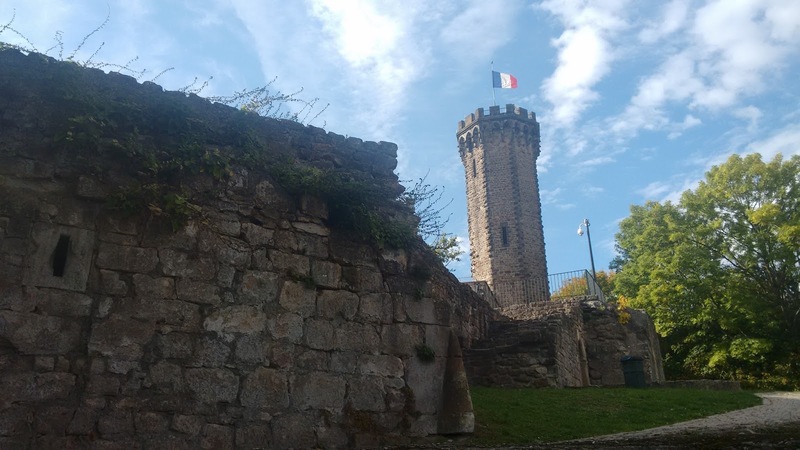 I finally decided that I'd visit Schlossberg, a castle ruins and I'd decide on further sights after stopping by the tourist information center. I was so bent on doing all of this because I've visited Forbach before and found it quite depressing. Since it's so close to my friends, I wanted to see if there were any redeeming features about the city for future visits. Considering that the city was damaged heavily during WWII, and it was a mining town that saw the major employer, the mine, close, it's not too surprising that the town isn't exactly beautiful with its out-of-place modern buildings, commercial area, and traffic-heavy vibe. Honestly, it reminds me of my visit to southern New Jersey. My first stop was the tourist information center. I had researched its hours and thought it should be open. Well, if it were still September, it would have been, but it's not open on Saturdays in October. D'oh. I decided to walk around downtown and walk up to the castle hill. Downtown is strange. The main road through town is congested and ugly. There are some abandoned-looking 60s buildings, the tourist office (in a worn out historical building - late Baroque, I think), and a hideous 60s-city administration building. I crossed into the downtown shopping district and it was a bit better but still a weird mix of the new and the old. A prettier section of the pedestrian zone - unfortunately, not so much of it was this nice. 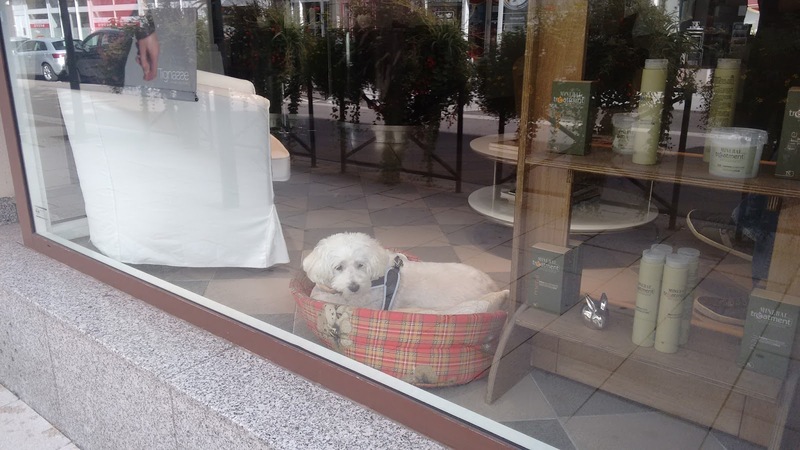 This guy was taking a nap in the window of the hair salon. 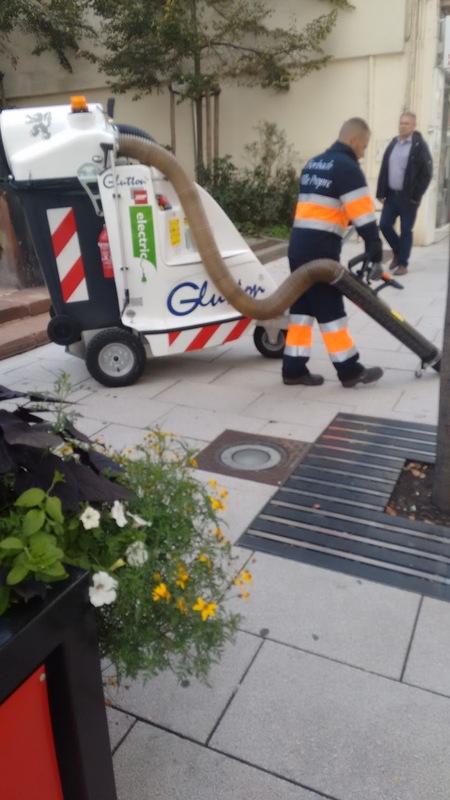 This guy was vacuuming up leaves with what amounted to a giant vacuum. I continued up the hill to the Schlossberg, which is a city park located at the base of a castle ruins. Ah, this was more like it, with a forested area of paths leading up to the castle. For a two euro fee, one can climb the tower, which is the main section remaining of the castle that's been rebuilt multiple times (including the tower itself). I didn't do that but did pick up some tourist brochures. It was a relief to load up the car and return to Germany. I met one friend for a decent TexMex dinner at Cafe Especial in Saarbrücken. I've eaten at this and the Cologne location. It's somewhat expensive but reasonably close to TexMex and it doesn't have any curry in it so that's a plus. *well, not all of them, of course!